The species is widespread in most of Britain, apparently more scattered in the west and north. It is widespread in western and central Europe. The species is found in a variety of wooded habitats including broad-leaved, mixed and coniferised woods, thickets, hedgerows and scrub. It also not infrequently enters houses. It is usually beaten from bushes and the lower branches of trees but may also be swept from adjacent herbage. 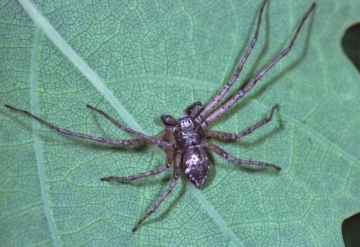 Although sometimes found on old trees, the spider is more often collected from younger trees, both broad-leaved and coniferous. The spider probably over-winters in the leaf litter that accumulates in various woodland situations. Adults of both sexes occur mainly in early to mid-summer.